A research coordinator with Landmine & Cluster Munition Monitor, Yeshua Moser-Puangsuwan has worked in a dozen countries, spending most of his life in Southeast Asia. 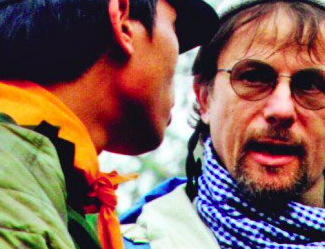 In 1995, he co-founded the Thailand Campaign to Ban Landmines and has been associated with the Monitor since its inception in 1998. Since 2005, Yeshua has worked for Mines Action Canada, providing ban policy research coordination to the Monitor for Asia, the Pacific, and Middle East and North Africa regions, and on Non-State Armed Groups globally. A co-founder of the International Action Network on Small Arms, he also serves voluntarily as a consultant to the International Peace Bureau and on the grant making Advisory Board of the International Nonviolence Trainers Fund of the AJ Muste Institute. Q: When did the world wake up to the landmine crisis and what has been India’s response to it since then? A: The International community began to seriously discuss the global landmine crisis in the mid-1990s. In 1996 the UN General Assembly passed a resolution urging states to vigorously pursue an international agreement banning anti-personnel mines. India voted in favour of that resolution, however, since 1997 when the Mine Ban Treaty came into existence, India has remained outside it. This is a surprising choice for the world’s largest democracy, given that now 80 per cent of governments in the world have joined this treaty. Q: How do you examine the main reasons provided by Indian diplomats in explaining it’s position? A: India has stated it has abstained and remains outside the global landmine ban due to the lack of “the availability of militarily effective alternative technologies that can perform cost effectively the defensive function of antipersonnel mines”. This is a surprising explanation for abstaining, since certainly Indian military engineers are aware that such technologies already exist. Q: And what are those alternatives? A: Trip flares serve the same function as an anti-personnel mine detonation it alerts soldiers to a possible crossing of an area by someone or animals. Trip flares have the added advantage of illuminating the area in the dark. As they are nonlethal they do not have the humanitarian consequences of anti-personnel mines, which can and do regularly kill or maim civilians and soldiers in India. Other alternatives to anti-personnel mine fields which exist are a combination of other weapons, such as command detonated mines combined with more intensive patrolling practices which eliminate the humanitarian consequences of anti-personnel mine fields. 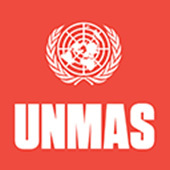 India should certainly benefit from the rich experience available within the 163 nations who have joined the mine ban treaty, and who do not use anti-personnel mines along their borders, many of whom have similar concerns of long rugged borders and irregular cross border movement, smuggling and insurgency. Q: Does India need landmines to deter incursion by armed militants, especially in Jammu and Kashmir? A: Has this proved effective? Mines laid long ago along the Line of Control (LoC) were in the ground during the rise of the insurgency in the 1990s as well as during its subsequent decline- it seemed to have no clear impact on the increase or decrease of militant activity. The role existing mines played in suppressing insurgency is speculative at best. However, what is clearly measurable, and reported in the Landmine Monitor’s annual report on India, is that hardly a month goes by without reports of deaths or injuries to Indian soldiers or civilians due to anti-personnel mines laid — many of them Indian made — along the LoC in Kashmir. In the past 5 years, despite continuing Indian military and civilian casualties in these mine fields, the Indian government has not reported even one insurgent casualty. A recent Indian Centre for Land Warfare study found that, “Anti-personnel minefields have never prevented an attacker from assaulting an objective despite the fact that anti-personnel mines-constitute a psychological hazard. Q: Indian Army planted landmines along its Pakistan border in Rajasthan, Punjab and Jammu and Kashmir following a terrorist attack on its Parliament in 2001. What have been the consequences? A: The largest known use of antipersonnel mines, by any government since the 1997 Mine Ban Treaty came into existence, was India’s deployment of hundreds of thousands of anti-personnel mines along the international border during Operation Parakram in December 2001. Land forces were mobilized on a large scale and mine-laying covered a huge parcel of agricultural land along the border, thereby disrupting the lives of lakhs of Indian citizens. According to an April 2005 report of the Lok Sabha Standing Committee on Defence, the Indian Army suffered 1,776 casualties while laying and removing its minefields on the border between December 2001 and April 2005. The total number of civilian casualties remains unknown. However, an Indian NGO survey in 2004 counted at least 1,295 civilian casualties from Operation Parakaram-laid mines. Despite many rounds of manual and mechanical mine clearance, by 2004 the Army declared that at least 3 lakhs of its mines planted along 400 kilometres of the international border in Punjab and Rajasthan were untraceable, and proposed that the area be permanently cordoned off. This needs to be seriously reflected upon. If Pakistan were held responsible for a military attack which killed and maimed a combined total of 3,000 Indian officers and citizens, what would India’s military response have been? When India’s military activities and defense policy causes the same number of casualties, what has its response been? This damage was not inflicted by a terrorist group or by an enemy; it was the outcome of the Indian Army’s unquestioned reliance on mine warfare. Q: A recent Monitor report claims that India continues to be the third largest stockpiler of anti-personnel landmines. Does it also export these antiquated weapons? A: India has a very large antipersonnel landmine stockpile. Precise amounts are unknown, but is likely one of the largest in the world, especially since the US and China have been destroying many of their anti-personnel landmines. While India has stated that it has not exported its anti-personnel landmines, that does not appear to be the case. Declaration and destruction of landmine stockpiles by Mine Ban Treaty signatories is required, and five of them have reported Indian-made mines in their stockpiles during destruction: Bangladesh, Bhutan, Mauritius, Sudan, and Tanzania. Q: What is India’s current position on the Mine Ban Treaty? A: India frequently highlights in its statements the fact that it joined the Optional Protocol to the UN Convention on Conventional Weapons, a limited regulatory measure on anti-personnel landmines. The Optional Protocol does not remove the hazard posed by antipersonnel mines or the humanitarian cost associated with the use of antipersonnel mines. But since 1997, India has repeatedly abstained from voting in favour of an annual UN General Assembly resolution in support of the global landmine ban. During the past two decades, India has regularly attended, as an observer, meetings of States Parties to the Mine Ban Treaty. India has also regularly delivered a statement which has noted that the Mine Ban Treaty’s humanitarian goal has universal appeal, and that India supports a world free of landmines. It is time to act on that appeal. India needs to undertake a public policy debate on its stand on the global landmine ban, and that debate must include the voices of India’s many civilian landmine casualties.